John Marx is the Executive Director of The Law Enforcement Survival Institute and founder of CopsAlive.com. 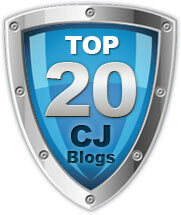 He is the author of the book Armor Your Self™: How To Survive A Career In Law Enforcement. John was a police officer for twenty-three years and served as a hostage negotiator for nineteen of those years. He worked as a patrol officer, media liaison officer, crime prevention officer and burglary detective. Also during his career he served as administrator of his city’s community policing project. 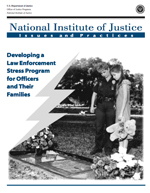 When one of his friends, also a former police officer, committed suicide at age 38, John began researching the problems that negative stresses create for law enforcement professionals, both commissioned and civilian. He decided he needed to do something to help change those problems and he wanted to give something back to the profession that gave him so much. He started a project that has evolved into CopsAlive.com. Put simply, the mission of CopsAlive is to save the lives of the people who save lives! Today, John combines his skills to assist law enforcement professionals and their agencies how to foster wellness and build Tactical Resilience™. Chaplain Cary A. Friedman is an Associate Director of The Law Enforcement Survival Institute, a consultant and lecturer on matters of stress-management and ethics for the law enforcement community. A hospital, prison, and police chaplain, he began consulting to the FBI’s Behavioral Science Unit in Quantico, VA in 2001, and contributed to the design of the Spiritual Survival for Law Enforcement course for the FBI’s National Academy. Chaplain Friedman is the author of five books, including Spiritual Survival for Law Enforcement and Wisdom from the Batcave. In 18 lighthearted chapters, he uses Batman’s example to illustrate profound truths such as How to Triumph over Adversity, the Value of Inspiring Others, and A Better Definition of Victory. Focusing on relationships with self, others and the community, the book illustrates how to live a better life, something trauma sufferers want and need. He has spoken at the FBI Academy, the FBI Training Network, International Conference of Police Chaplains, TX Department of Public Safety, and CT Department of Public Safety, and has appeared on The History Channel. What is The Tactical Resilience™ & Ethical Policing Project (TREPP)? We define Tactical Resilience™ as a human quality of “intentional” strength and fitness exhibited through the mind, body, brain and spirit of a law enforcement professional that allows them to withstand the rigors and hidden emotional, physical, spiritual and physiological dangers of continuous high threat, high stress situations. 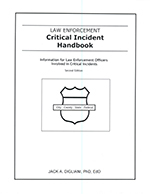 This program is part of a joint effort between the Center for Tactical Resilience™, the Center for Ethical Policing, the Law Enforcement Survival Institute and www.CopsAlive.com to provide research and education to promote excellence in law enforcement. We believe Tactical Resilience™ and ethical policing practices can remedy many of the issues confronting law enforcement officials around the globe. We have started a national initiative to promote the conditioning of strong, healthy and resilient officers called the Tactical Resilience™ & Ethical Policing Project. The work we do supports all dimensions of officer wellness – physical, emotional, psychological, spiritual (not religious) – with the intention of producing ethical police behavior. An officer at his/her best (physically capable, emotionally healthy, psychologically robust and spiritually grounded), with regular infusions of ethical guidance and support, can perform the duties of policing with integrity, decency, fairness and compassion. Our research and training have the power to save careers, families and lives as well as transform society, but much work is needed to change the culture of policing in this country. Our “Armor Your Self™: How to Survive a Career in Law Enforcement” on-site training program is an eight hour, hands-on, “How to” seminar based upon John Marx’ book of the same name. 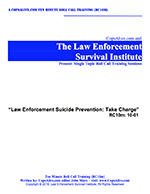 This seminar helps police officers and other law enforcement professionals armor themselves physically, mentally, emotionally and spiritually to build Tactical Resilience™ and survive their careers in police work. To learn more CLICK HERE. To learn about and buy the book CLICK HERE.